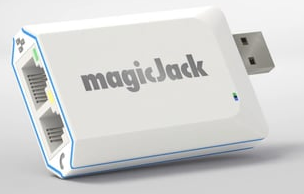 MagicJack, By YMAX Communications Corporation Now VocalTec LTD.
MagicJack is one of the leading free and cheap personal/home Internet phone provider. The company was previously owned by YMAX Communications Corporation; however, it has merged with VocalTec in July 2010, now called Magic-Jack VocalTec Ltd.
As of January 2, 2009, Stratus Telecommunications, LLC operates as a subsidiary of VocalTec Ltd.
magicJack Vocaltec invented Voice over IP (VOIP), having sold over 10 million MJs since product launch. In addition, our Telephone App/Softphone is being downloaded millions of times per year on smartphones, computers, tablets and iOS devices that can be used anywhere in the world to make and receive calls. The MJ family is most proud of having recently received the 2013 Frost and Sullivan award for the Best Consumer VOIP Service, incredibly scoring at the very top in all five measured categories, including Overall Quality, Ease of Use, Billing Practices, Value and Pricing. 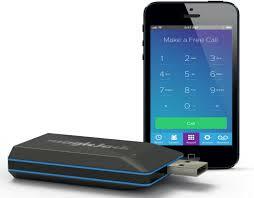 These products can be used by personal/home and small business VoIP users. For complete A-Z country rate lists visit the company's international rate link. What are your thoughts about MJ? Let us know in the comments section!